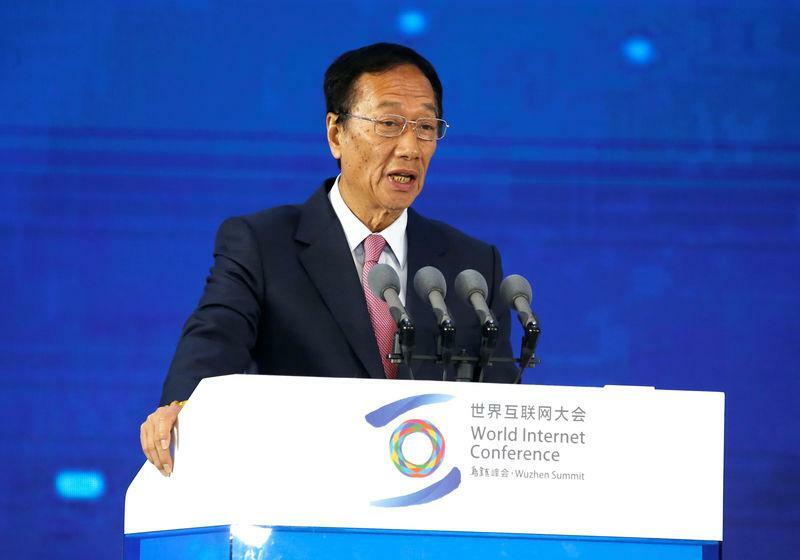 TAIPEI (Reuters) - The chairman of Taiwan's Foxconn, an assembler of Apple Inc's iPhones, said on Monday he plans to step down in the coming months to pave the way for younger talent to move up the company's ranks. The news comes three months after Reuters reported Foxconn was reconsidering plans to make advanced liquid crystal display panels at a $10 billion (£7.64 billion) Wisconsin campus. Foxconn later reiterated it would still build a factory in Wisconsin after Gou spoke to U.S. President Donald Trump.